"I love it (a South Sea cultured pearl ring) more every time I wear it...it is a very easy and comfortable ring to wear! Thank you for your part in it!" "If I didn't mention it before, I just love my ring. It sparkles so much and I look at it all the time. I get compliments on it saying it's so unusual and unique. 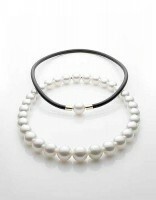 Keep in touch..."
South Sea cultured pearl strand. 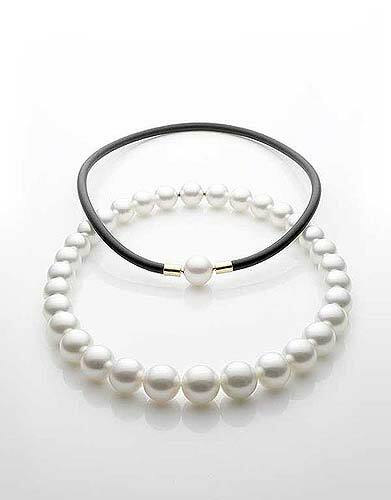 Would a strand of South Sea cultured pearls complete your jewelry wardrobe? Pearl jewelry is a perfect choice for the modern woman, the sophisticated bride, and her bridal attendants. Today’s cultured pearl market includes Akoya, Tahitian, Freshwater and South Sea cultured pearl jewelry and strands. Best Friends Diamonds & Gems carries Paspaley South Sea cultured pearl jewelry. Please call 312 269 9999 to set up a consultation (or simply contact us using this Web site) regarding pearl jewelry and pricing information.